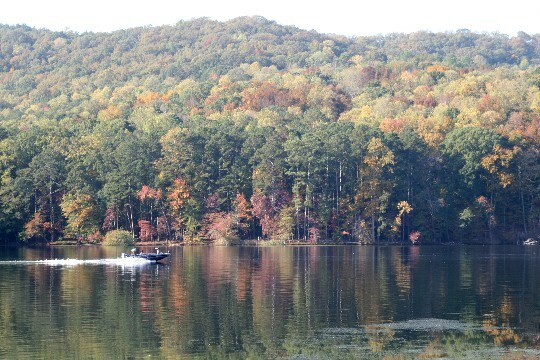 Enjoy boating and fishing on Lake Martin, a guided tour and lunch at Talladega College and an excursion to the Birmingham Civil Rights Institute. The trip to Birmingham will also include morning worship at the Sixteenth Street Baptist Church were the bombing killed 4 girls in 1963. The church is located directly across the street from the Birmingham Civil Rights Institute. Payment: A $250 deposit is required to reserve your space, and final payment is due in full at least 30 days before retreat begins. Payment may be made with credit cards through PayPal. Refunds: If you need to cancel your participation in the class for any reason, a 75% refund will be credited if we are notified at least 45 days before the start of the retreat. This experience is designed to open up your mind, your senses, and your traditional thought processes to assist you in moving forward in a fresh new creative direction in your art work. The retreat is designed to break down walls and barriers, and to give you, the artist, more freedom of expression in your work. We will discuss your own personal art history, and work together to bring insight into those areas which may be blocking or hindering the expansion of your creative self. Whether you are a novice or an experienced artist, this retreat will certainly bring you countless new ideas and help to move your creative spirit forward.